A former republican prisoner has said British intelligence officers tried to recruit him as an informer during a two-day break to Amsterdam at the weekend. New Lodge man John Pierson claims two men who said they were MI5 officers approached him in Schiphol Airport in Amsterdam and asked him to become an informant. After refusing he was eventually allowed to rejoin his friends on his weekend away but has now instructed his solicitor to make an official complain to the Irish Minister of Foreign Affairs about the approach on Dutch soil. He is being supported by local Sinn Féin MLA Gerry Kelly who said MI5 have “no place in our society”. The New Lodge man explained he had gone on a short break over the weekend just past with a group of friends when he was approached by an immigration officer as he made his way through the airport. “When we arrived at the airport we handed our passports in and the immigration officer then asked four people to stand to the side, the other people were given their passports back after about five minutes but he asked me to follow him inside,” he said. “He said ‘someone wants to talk to you’ and led me into a room where a young fella’ and an older man were. They said I must be wondering why they wanted to talk to me and said they were MI5 and wanted to run a business deal past me. John said that one of the two said there are “bits of kit still out there” that they didn’t want to fall into the wrong hands. “One of them said they didn’t want “them bunch of f*****g eejits” getting their hands on them,” he said. The former POW said he is furious he was approached by the intelligence agencies. “I want to get on with my life, I’ve worked since I was released. I am proud of my past but I don’t look behind me. I am angry MI5 approached me in this way. 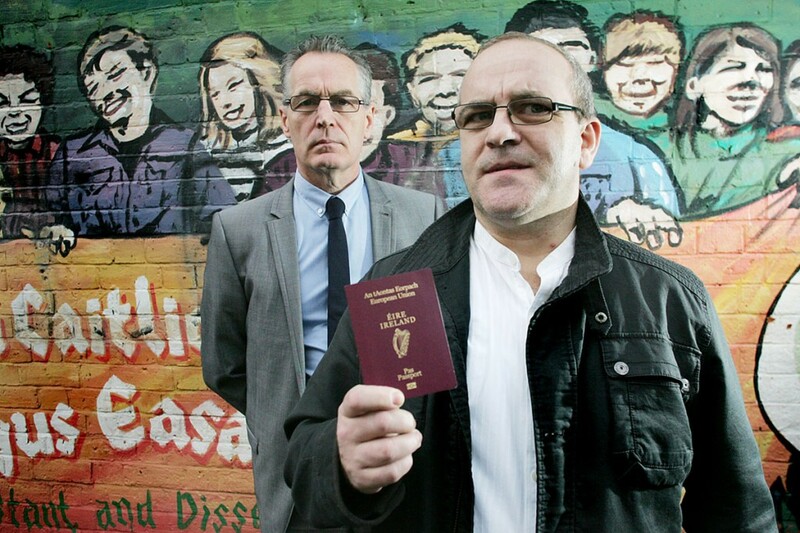 Gerry Kelly said he is supporting Mr Pierce’ whose approach was similar to other former prisoners travelling abroad. “MI5 have no place in our society, their history has always been detrimental to peace and democracy,” he said. “This is not the first, and I’m sure not the last person, to be approached in this fashion, It is an abuse of power.